KTSU’s mission is to educate and empower our community through a commitment to enriching lives through our vast media outlets that paves the way for aspiring students. But none of this would be possible without the support from our dedicated volunteers. 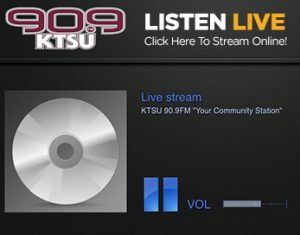 KTSU’s volunteers are the heartbeat of 90.9 FM, your community station. KTSU relies on people like you to assist in the delivery of services, community outreach, student development/training and On-air programming. Giving is one of the most important gifts you can offer to any organization. Donating your time and talents to this radio station allows you to make a difference in lives around the world. Consider becoming a KTSU volunteer today. Be a leader, mentor, educator….be a light of hope. For more information, please contact the KTSU Volunteer Department at 713.313.7596.